(G.) "Spooky Duke & Jolly Luke" - SOLD - Thank you! 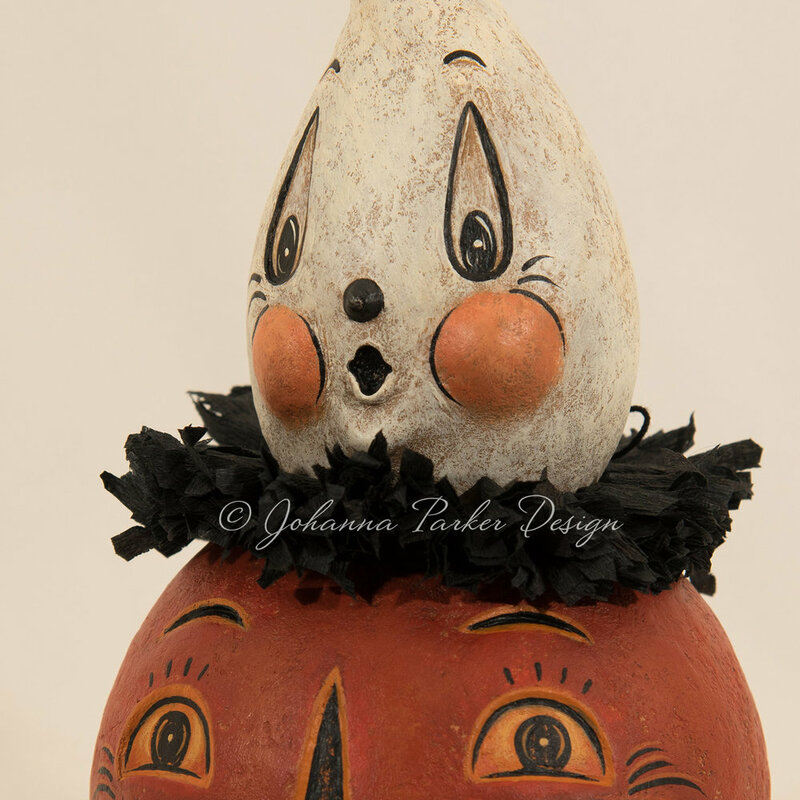 Spooky Duke & Jolly Luk is a sculpted and hand painted papier mache ghost ball character with a dimensional jack-o'-lantern body. 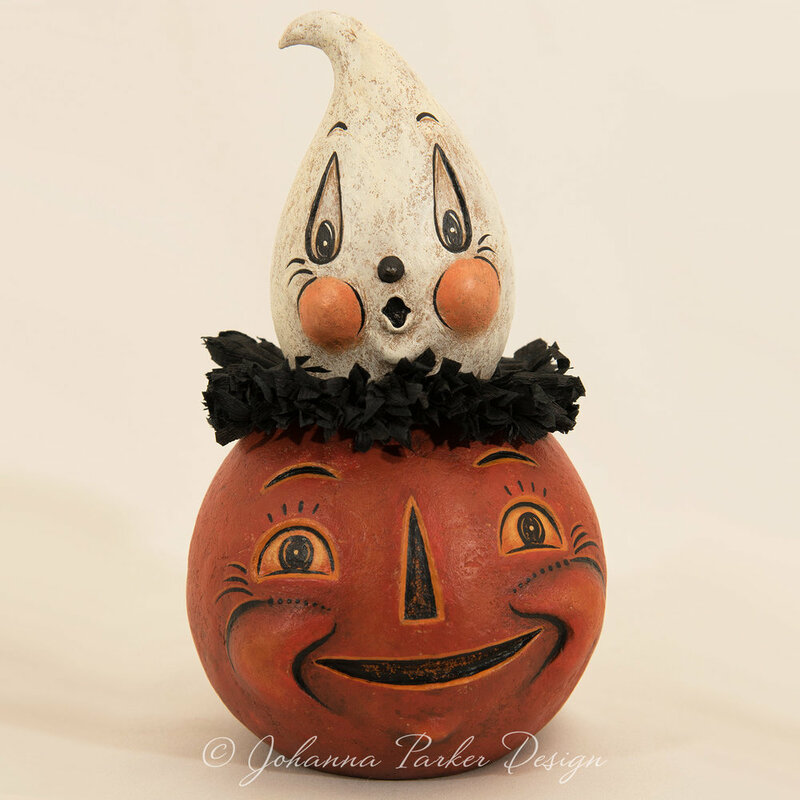 It's as if he jumped right into his pumpkin buddy's head in order to pop out for a peek-a-boo! What fun! The grinning jack's recessed facial features give him that Halloween carved pumpkin effect. A hand-stitched crepe paper collar dresses up this spooky sweet duo. It's two characters in one! A Johanna Parker Design original! To purchase, please send an EMAIL and include Letter G in your title. Thank you!